A woman’s desperate search for her kidnapped child A father seeking forgiveness for an unconscionable act Only when they join forces, can they save their son Lady Isabel Ashton longs to marry a nobleman and live out her days in the wealth and privilege she is accustomed to as the daughter of an earl. 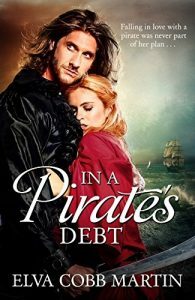 But her plans went awry when she was kidnapped and ravished by a notorious pirate captain. Scorned by society and banished by her family to live on the island of Jamaica, Isabel decides to keep her baby. But then her precious child is kidnapped. Desperate to find him, Isabel soon discovers she must accept the help of the one man she hates most in the world–the boy’s father. Determined to win the heart and forgiveness of the woman he ravished, Captain Kent Carlton searches every port in the Caribbean for Isabel. Drowning his sorrows in rum and cards, he has all but given up when an acquaintance informs him, first of the child’s existence, and then of the kidnapping and Isabel’s whereabouts. 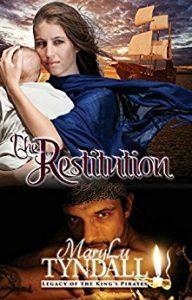 Thrilled Isabel agrees to accept his help, Kent soon finds himself involved in a plot of deception and revenge that threaten to destroy both him and Isabel and keep them from their son forever.